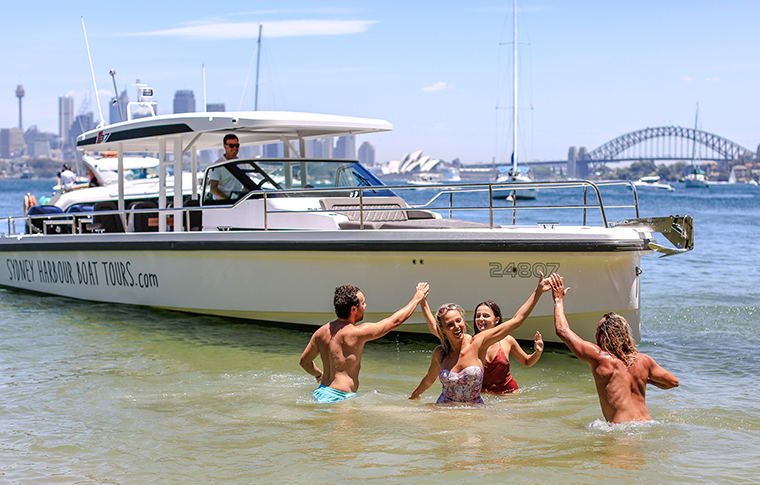 Private charter and ticketed boat tours on Sydney Harbour’s biggest days of the year with a qualified skipper/guide. 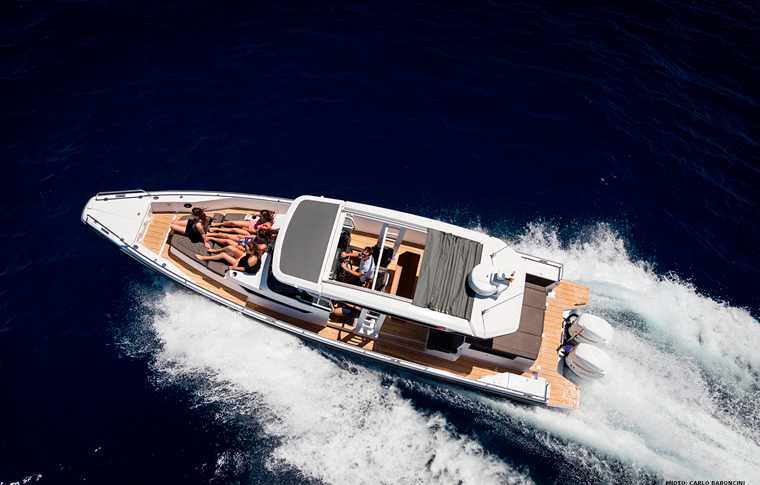 Beat the crowds and see Vivid in style with an intimate 1 hour cruise aboard Spectre, the 2017 European Motor Boat of the Year. 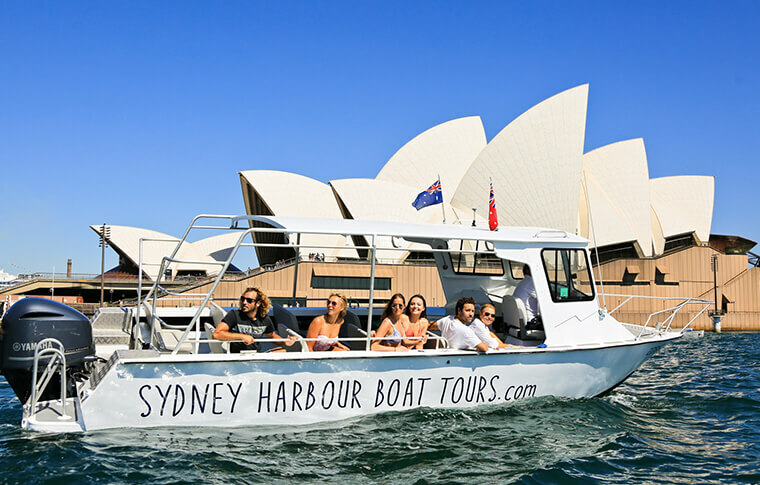 Join a small group (max 10) on this uber-cool sports cruiser to experience Sydney Harbour’s spectacular annual light & sound show. 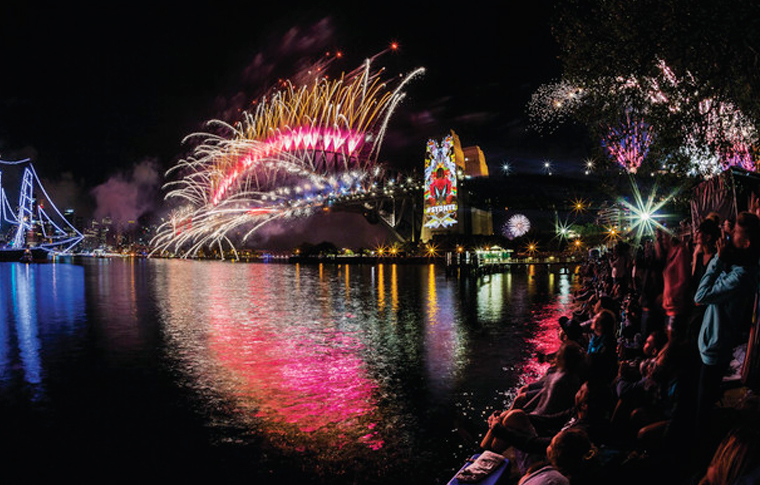 You’ll enjoy the best seats on the water with unlimited French champagne and canapés, while we cruise ‘up close’ past the festive bright lights of Vivid. Each guest has a comfortable individual seat and plenty of open space to get front row views of this remarkable light show. Drinks served by an on-board stewardess. 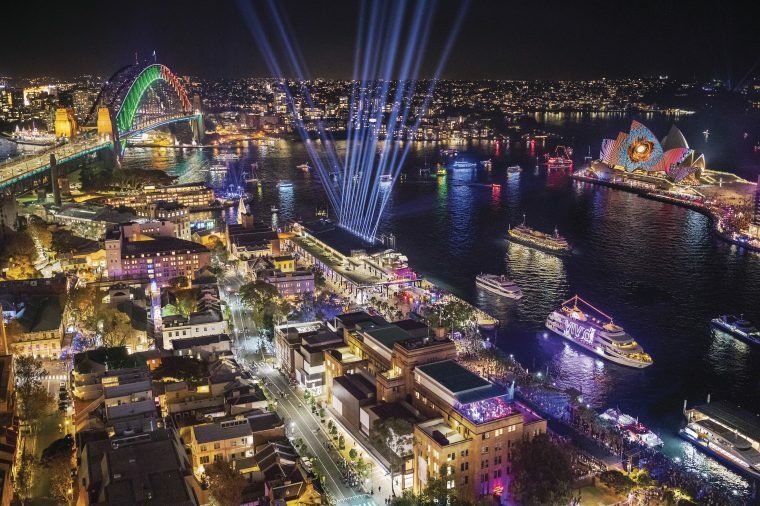 We cruise past light installations of the Harbour Bridge, Circular Quay, Opera House, Botanical Gardens, Luna Park and Fort Denison…all lit up in festive Vivid style. 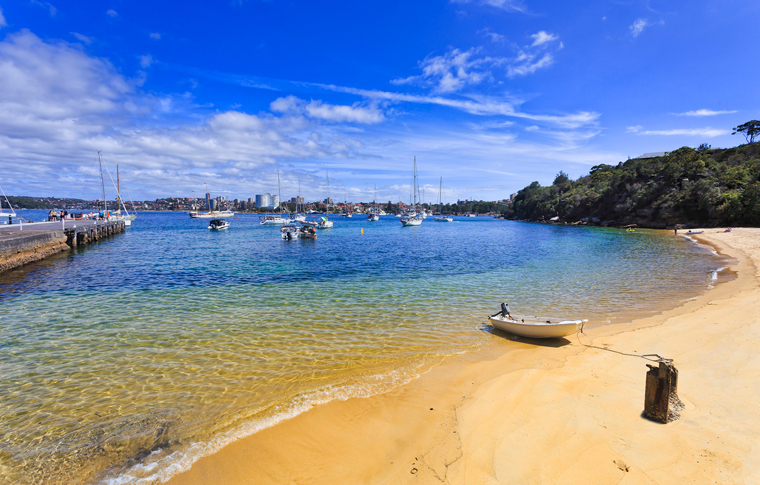 Sunday-Thursday (Campbells Cove in Circular Quay), Friday-Saturday (Towns Place in Walsh Bay). *NOTE* Sunday, 9th of June is Towns Place departure. Note that the boat can only arrive and berth at the designated times below and will depart within 10 minutes, so be at the wharf and ready to depart. Check below for your wharf details. 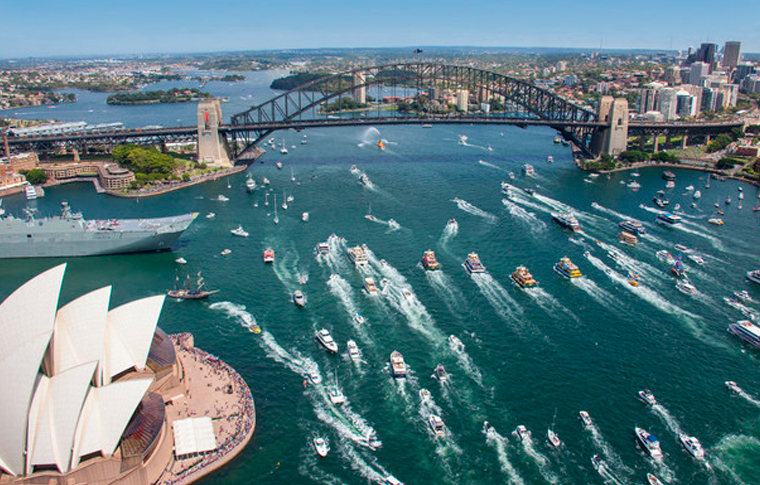 On Boxing Day each year, one of the world’s premier yacht races departs from Sydney bound for Hobart. 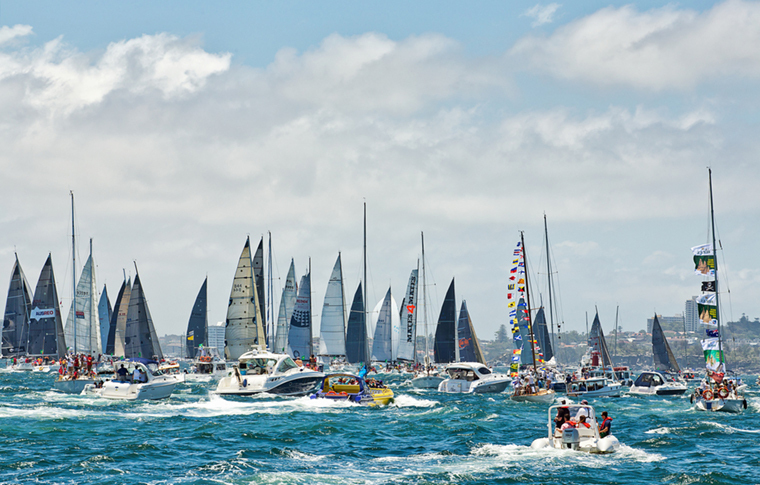 Take our private VIP charter option or join a group cruise and experience the harbour amid a sea of colour, pomp and ceremony that is the Sydney to Hobart Yacht Race. 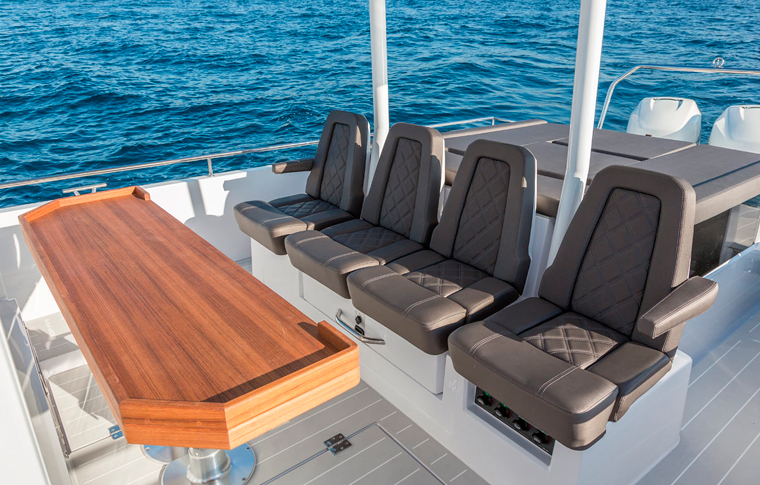 CLICK TO ENQUIRE ABOUT YOUR PRIVATE CHARTER NOW! 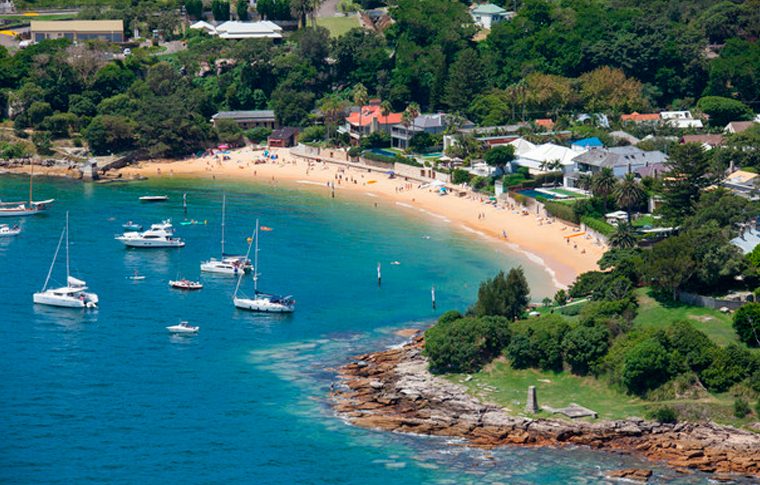 Enjoy one of Sydney Harbour’s and the yachting world’s biggest days of the year in style and comfort aboard our VIP European SportsCruiser. 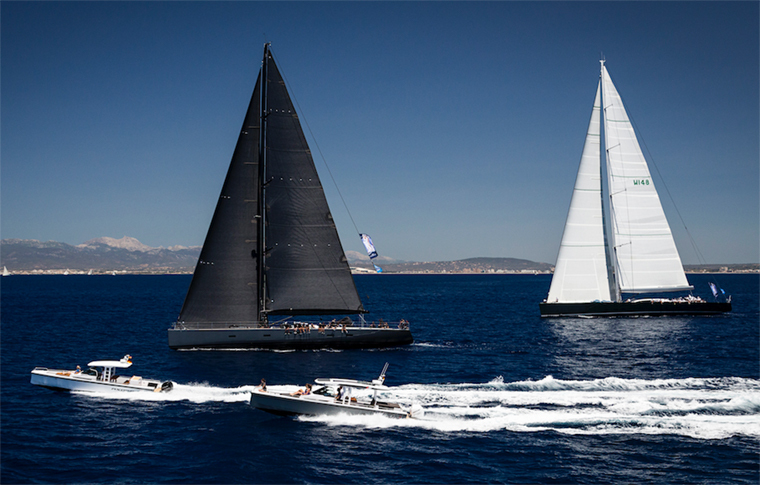 You’ll get up close to some of the world’s most impressive maxi yachts as we line up alongside the starting grid and follow the flotilla towards the harbour entrance. 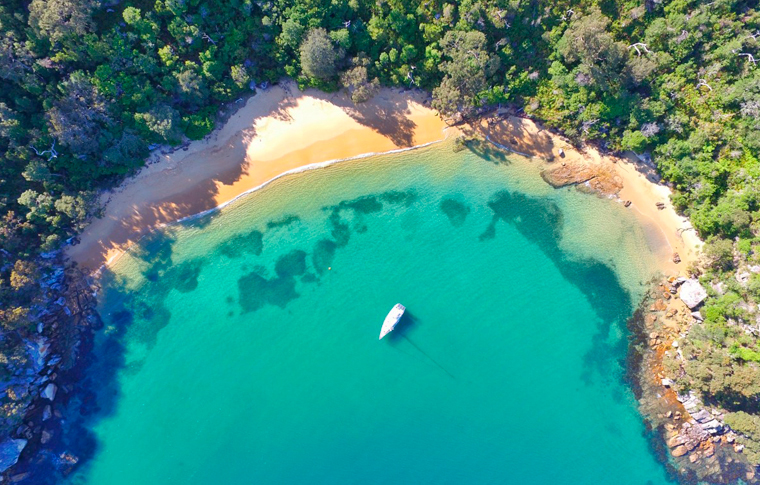 Once the yachts have disappeared beyond the heads, we cruise to the picturesque and historic Quarantine Bay for a lunch, wander and afternoon swim. But if you have a spot in mind, your local skipper will make sure we get there during the day. 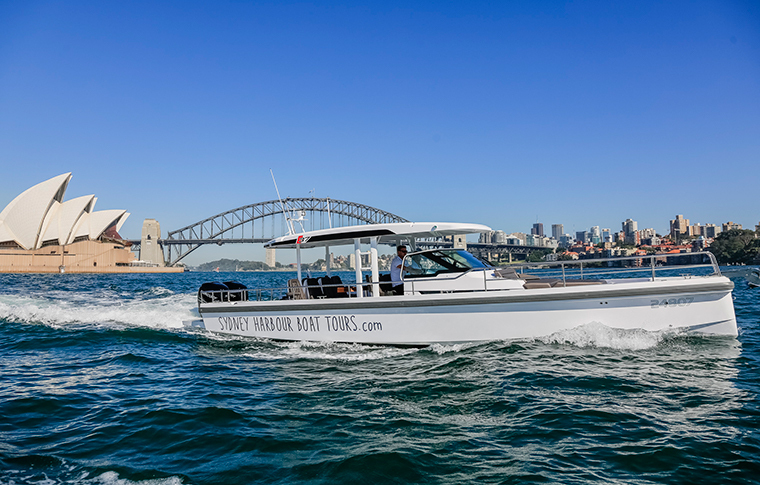 VIP Sports Cruiser – Our 11 metre, open-top cruiser brings a touch of Italian Riviera class to the stunning Sydney Harbour. 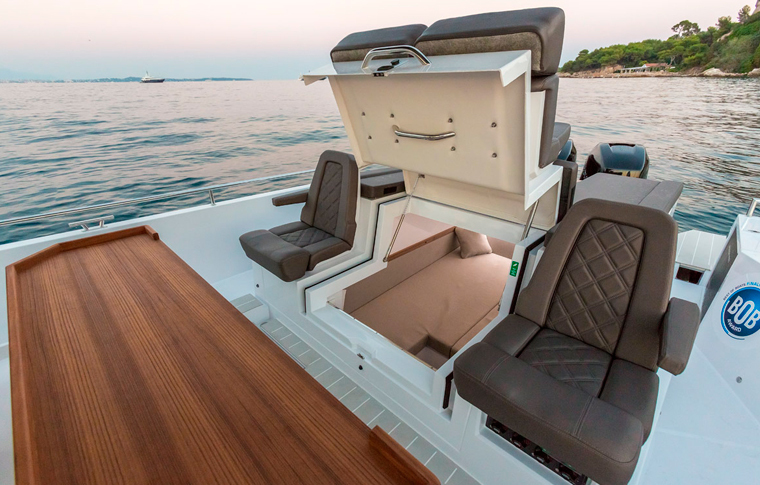 This sleek powerboat comfortably seats 10 (plus a skipper) and is equipped with ample shade covering, downstairs bedroom, kitchenette and toilet facilities, generous food and drink storage and plenty of space for lounging in the sun and moving about the boat. 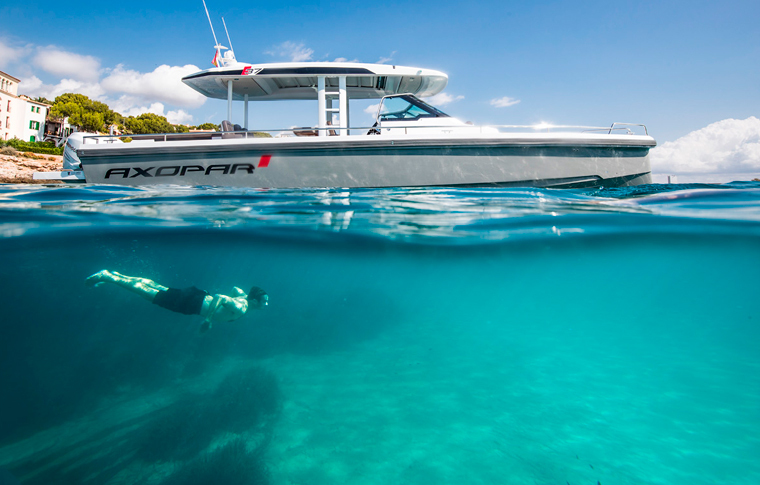 Find out more about your boat here. Departure: 11:30am from Convention Wharf, Darling Harbour. Lunch and drinks: Bring your own picnic and drinks (alcohol permitted) or we can stop at one of many harbourside restaurants. Price includes: Boat hire • Petrol • Skipper • Wharf fees. 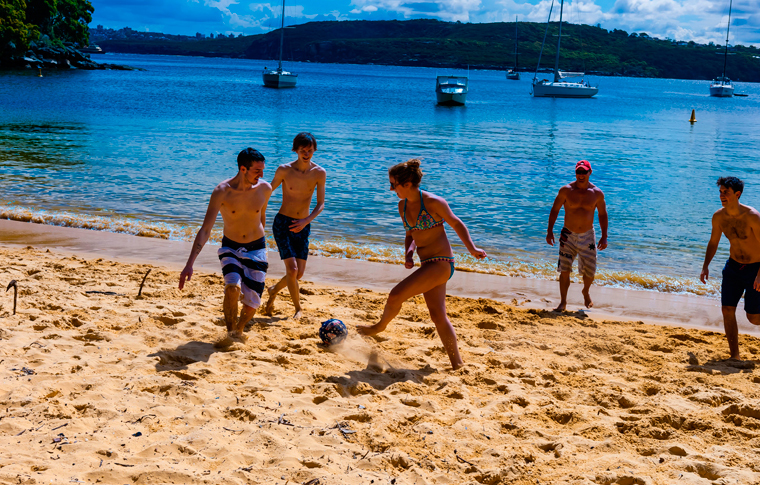 CLICK TO ENQUIRE ABOUT YOUR BOXING DAY CRUISE! 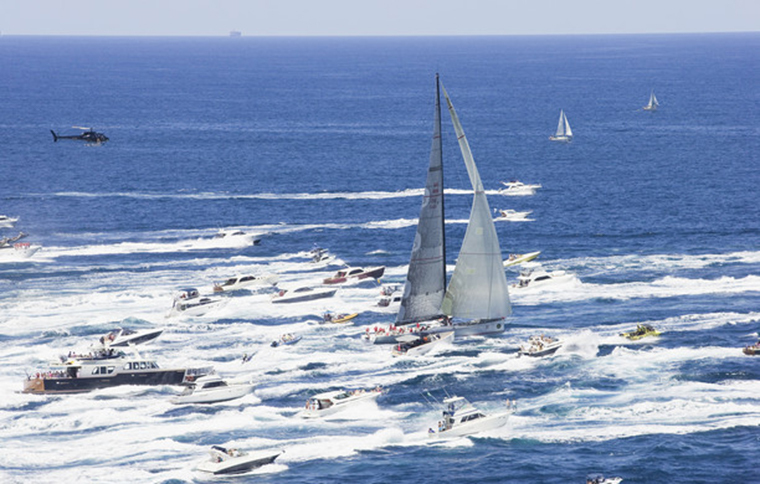 Watch the start of the world famous Sydney to Hobart Yacht Race and follow the flotilla of impressive maxi yachts out towards the heads. 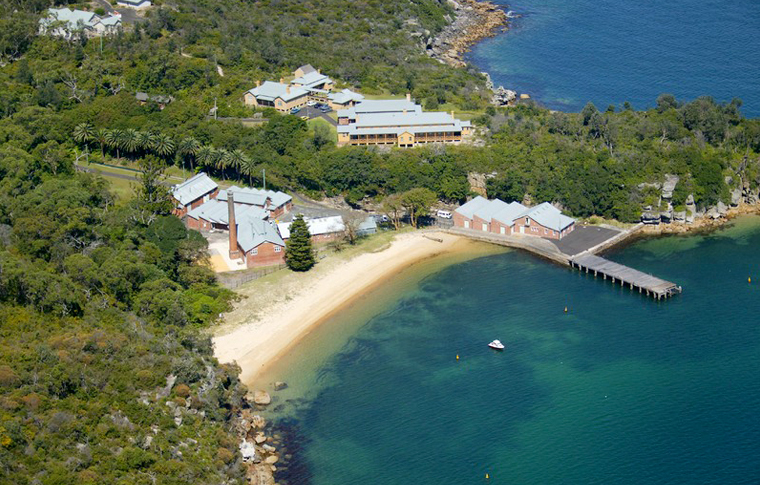 We’ll take a short tour of some of the key sights of Sydney Harbour, and head to picturesque and historic Quarantine Bay for a lunch, wander and afternoon swim. Your ticket includes a cafe lunch and soft drink at a waterside bar/cafe but you’re welcome to bring other snacks and drinks aboard. 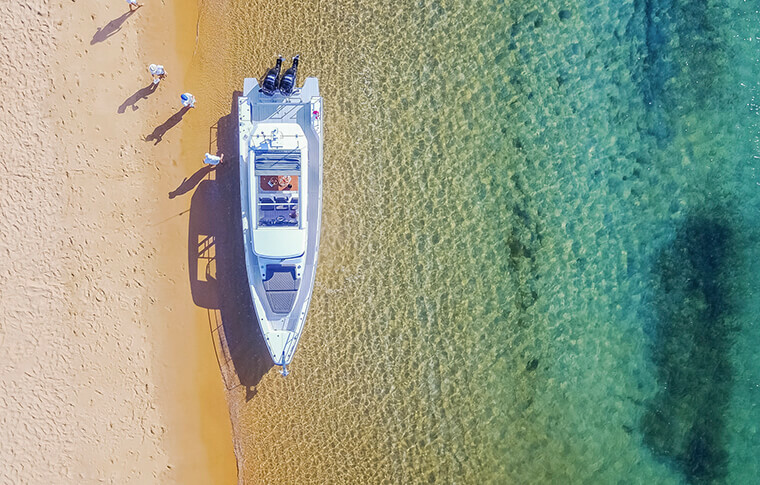 Harbour Explorer – a comfortable open-top boat that seats 16 guests and can drop you right onto the beach. It’s 8.5m with an enclosed toilet and some shading. 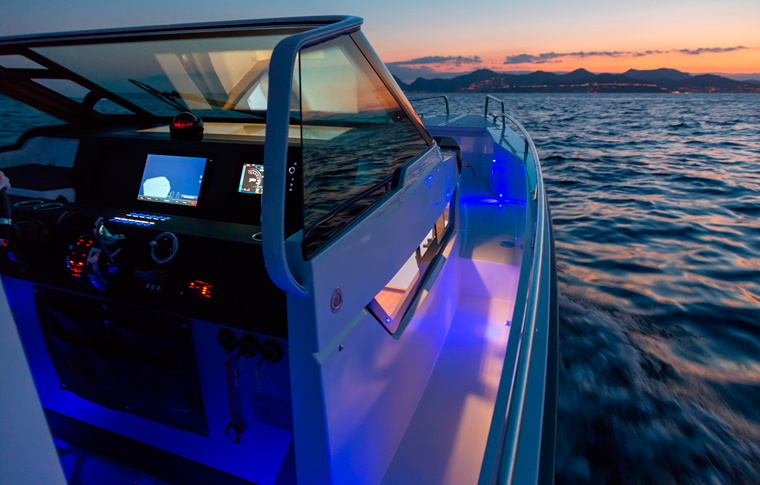 Find out more about your boat here. Lunch and drinks: A simple cafe lunch and soft drink is included, but you’re welcome to bring your own snacks and drinks. 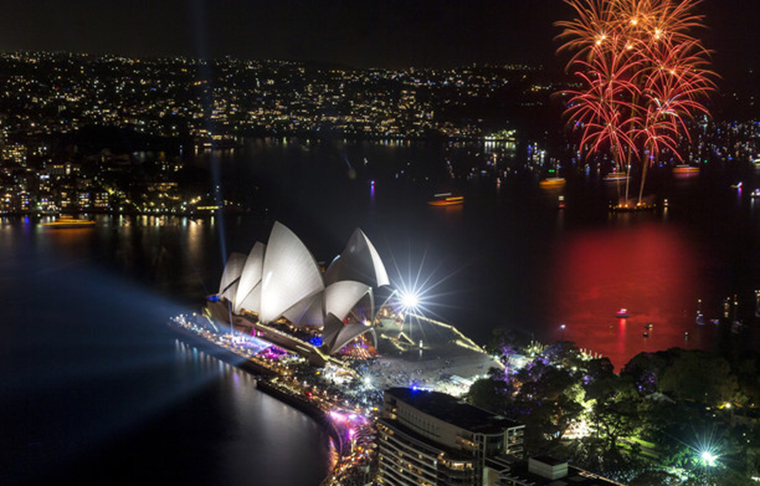 On New Year’s Eve, Sydney Harbour becomes the focal point of the nation’s celebrations. 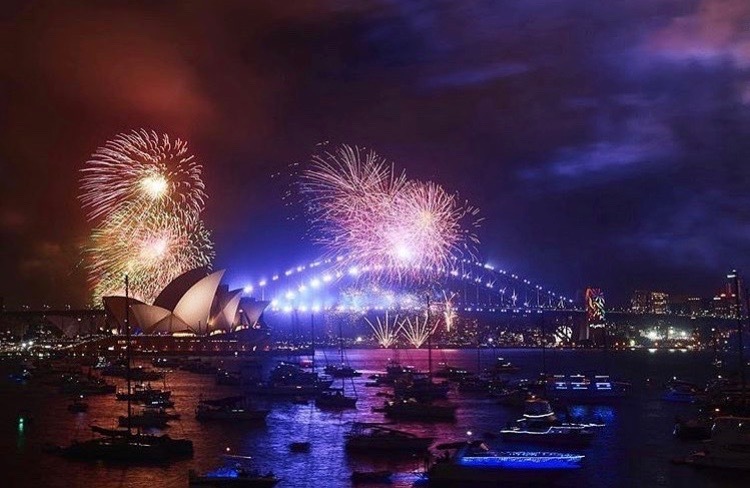 Both of our boats are available for private charter so you can enjoy the iconic and world-famous Sydney Harbour fireworks display from up close with a select group of friends. 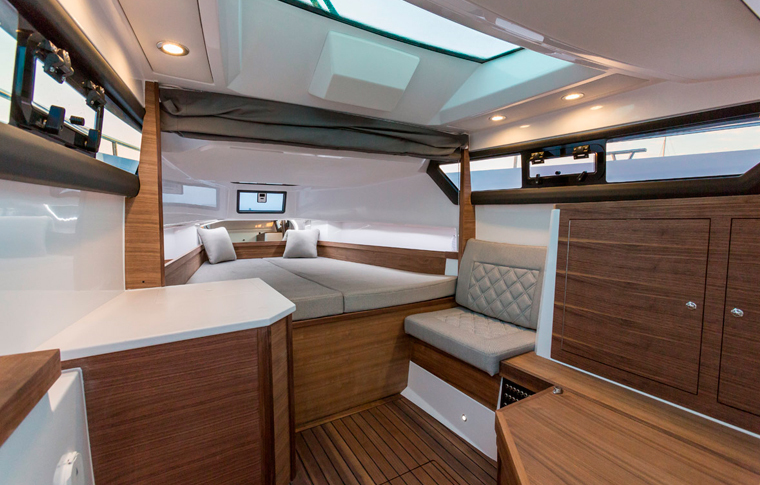 Take our VIP European Sports Cruiser for the full evening or our Adventure Cruiser for a three hour cruise for either the 9:00pm or midnight fireworks displays. 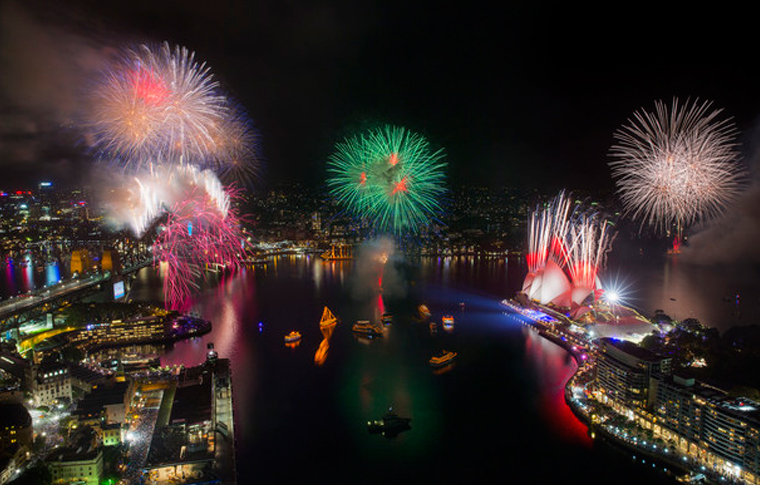 CLICK TO ENQUIRE ABOUT YOUR VIP FIREWORK CHARTER NOW! 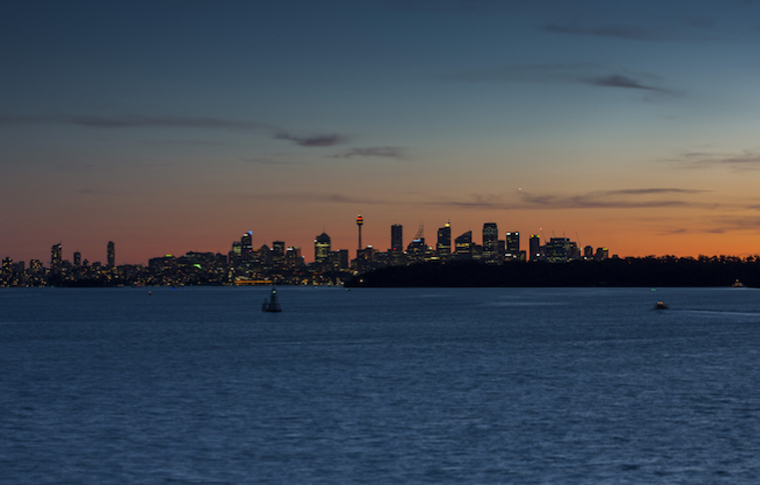 Without a doubt the most spectacular day/night to be on the water and see Sydney Harbour in all its splendour – especially aboard our sleek and stylish VIP European Sports Cruiser. 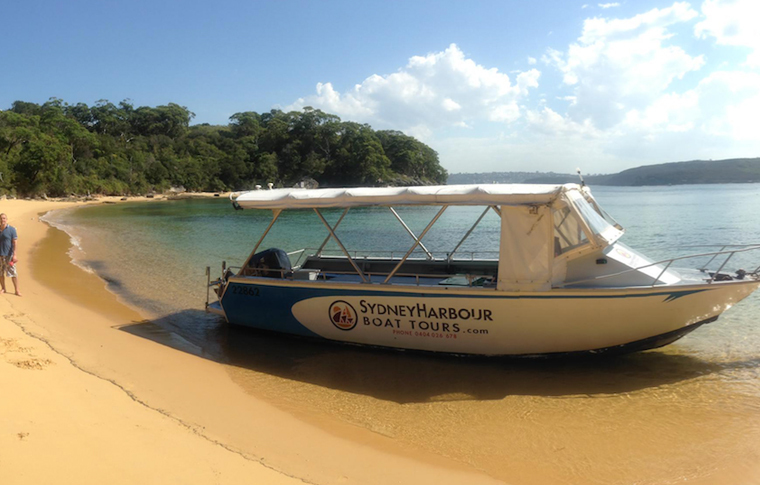 We’ll start at 5pm, cruising the harbour sites and stopping for a swim if you’re up for it. We will take up prime positions to watch the 9pm and midnight fireworks. Departure: 5:00pm from Convention Wharf, Darling Harbour. Food and drink: You’re welcome to bring your own alcohol aboard and store it in the boat’s ample fridge. Price includes: Boat hire • Petrol • Skipper • Wharf fees • Soft drinks. Book NYE VIP PRivate Charter Now! 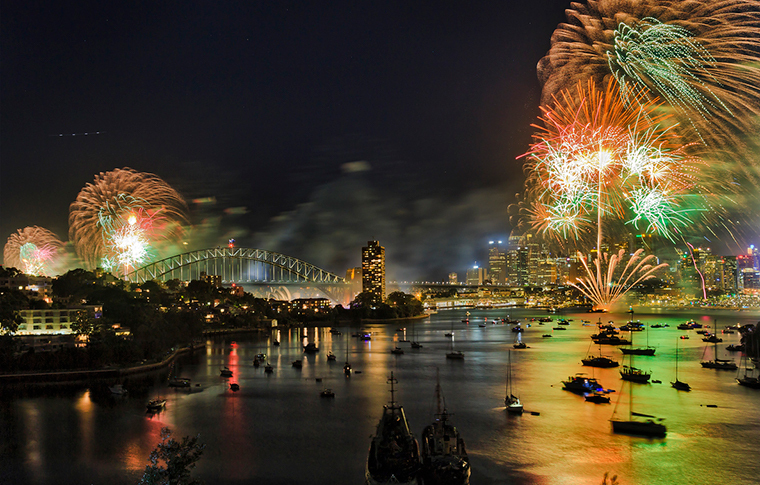 Sydney’s midnight fireworks displays are some of the most extravagant in the world. 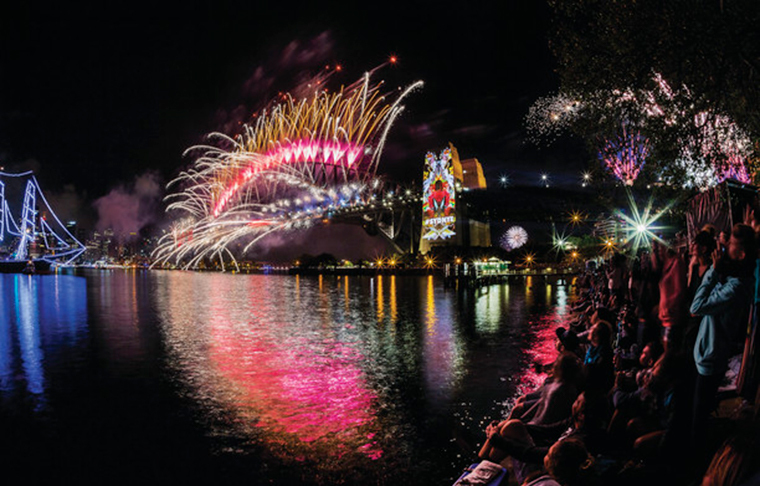 On a private charter aboard our Harbour Explorer, you’ll be assured a prime viewing spot for the big show. Up to 16 guests will board at 10:00pm and we will drop anchor close to the action where you can sip a champagne (if that’s your style!) and watch the display. 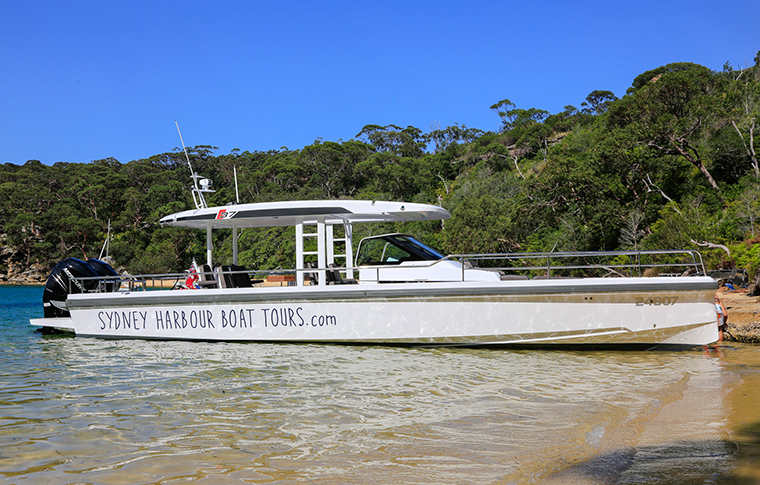 Harbour Explorer – a comfortable open-top boat that seats 16 guests and is perfect to watch the fireworks. 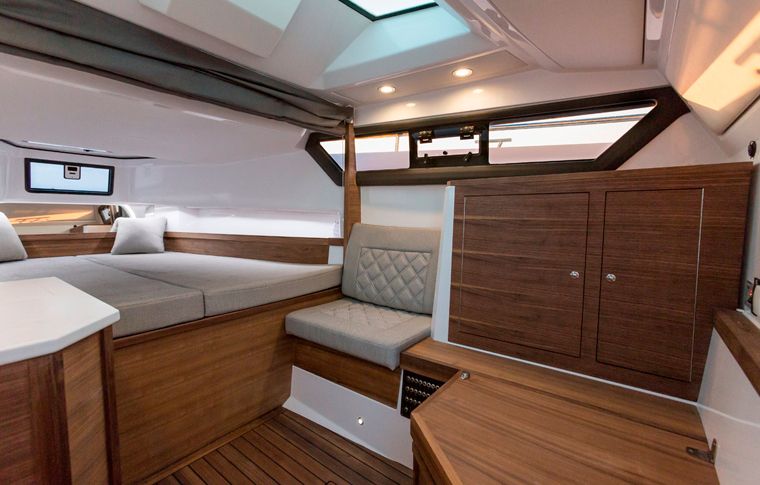 It’s 8.5m with an enclosed toilet and has ample cover to keep you dry in the event of rain. 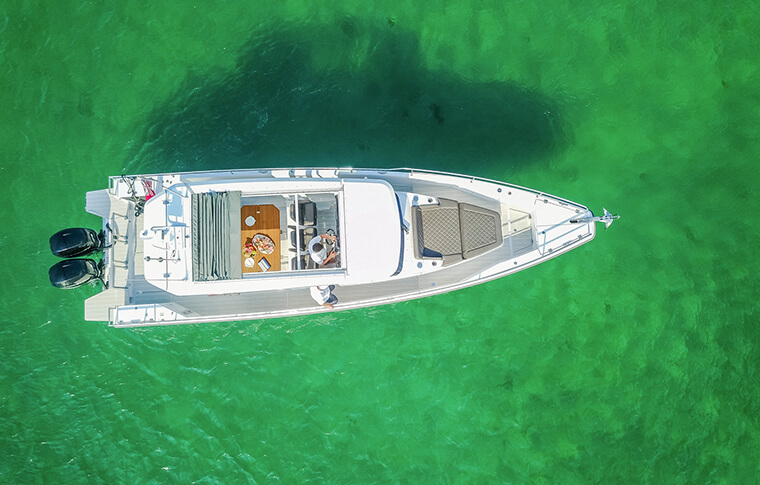 Find out more about your boat here. Departure: 10:00pm from Convention Wharf, Darling Harbour. Food and drink: Not provided. You’re welcome to bring your own snacks and drinks (alcohol permitted). 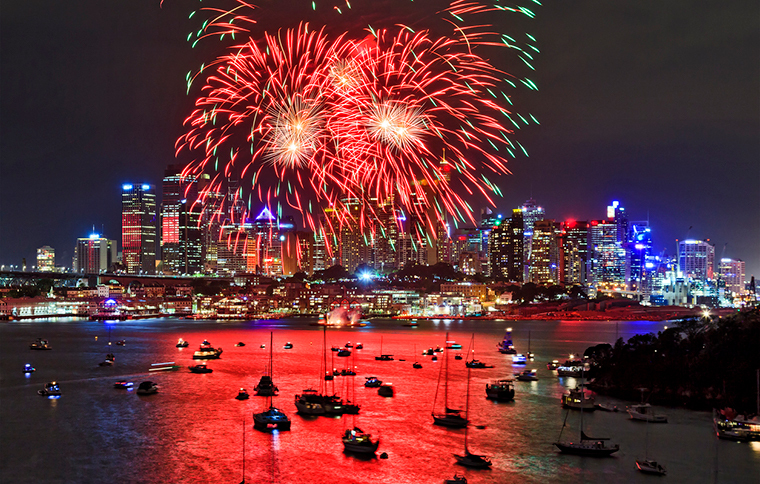 Book Midnight Fireworks Private Cruise Now! 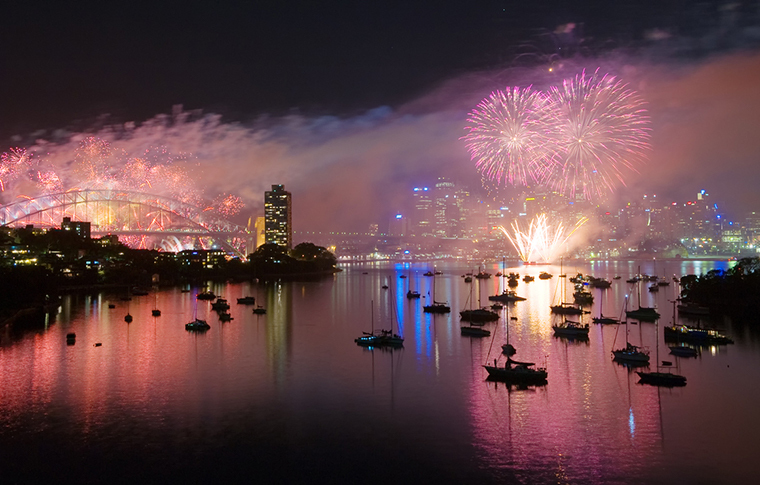 CLICK TO ENQUIRE ABOUT YOUR FAMILY NYE FIREWORKS CRUISE NOW! 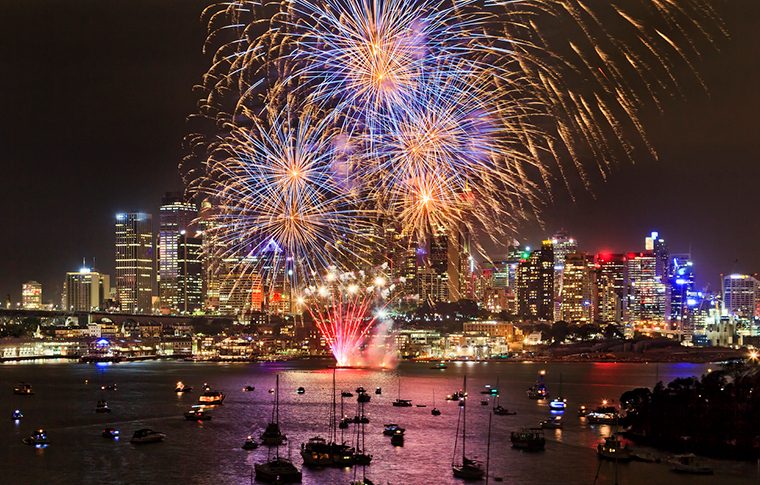 The 9:00pm, family-friendly fireworks display are a great way to get out on the harbour and join the festivities with the whole family. 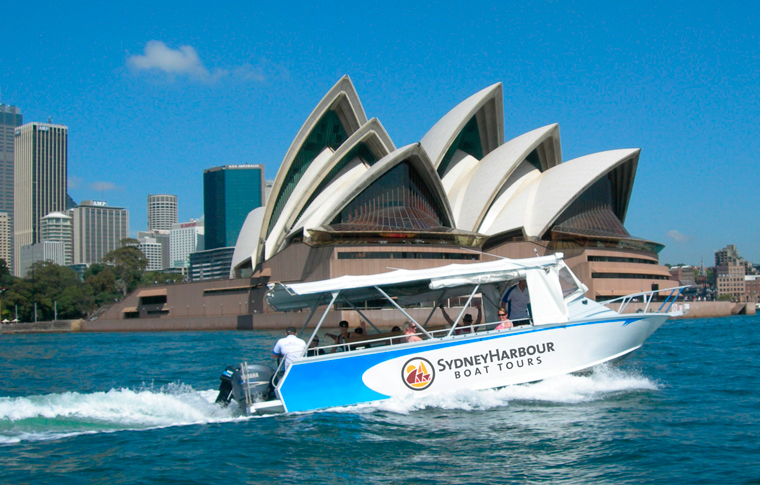 We will pick you up at 7:00pm and cruise past some of Sydney’s iconic harbourside spots we’ll drop anchor right near the action for the spectacular 9:00pm show and have you back on shore by 10:00pm. 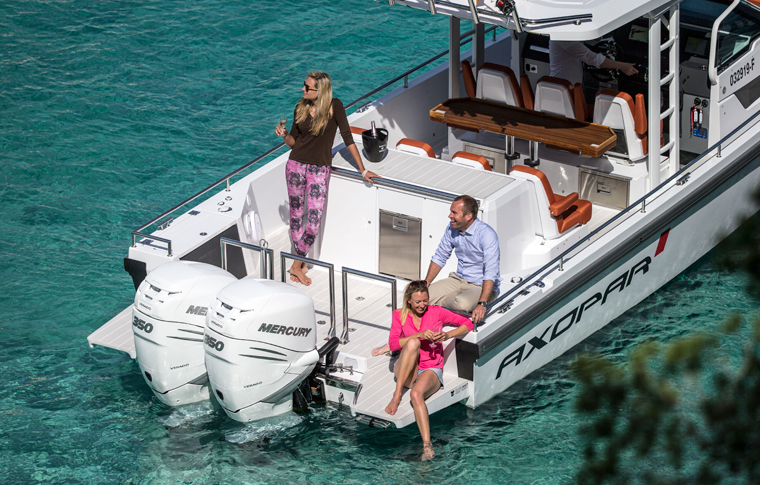 Harbour Explorer – a comfortable open-top boat that seats 16 guests and can drop you right onto the beach. It’s 8.5m with an enclosed toilet and has ample cover to keep you dry in the event of rain. 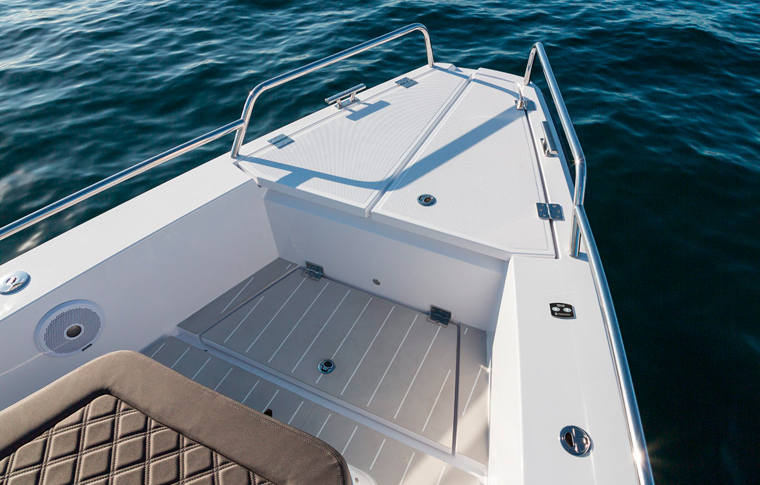 Find out more about your boat here. Departure: 7:45pm from Convention Wharf, Darling Harbour. Book Family Fireworks Private Cruise Now! 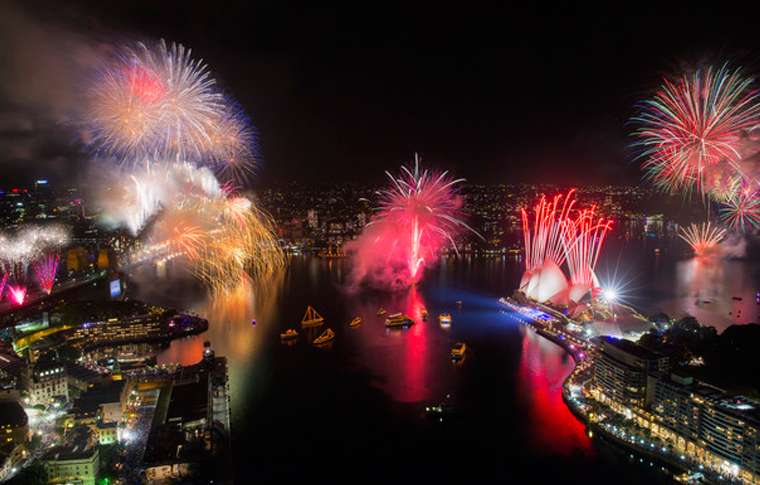 Australia Day is a massive day on the harbour with ferry races, maritime and aeronautical displays, music and an all-around festive vibe. 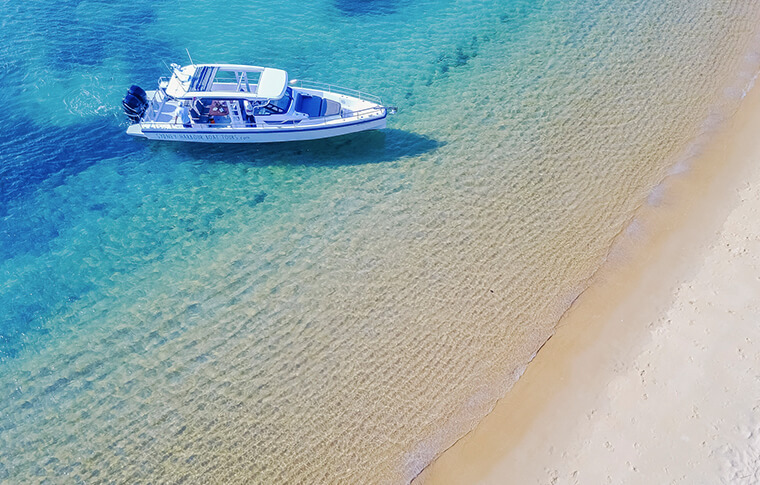 There’s no better place to experience our national day than on the water. 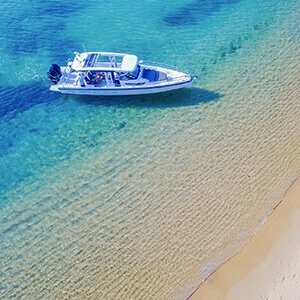 Take your pick between our VIP Private charter with up to 10 guests, or join a group cruise with our expert skipper/guide. 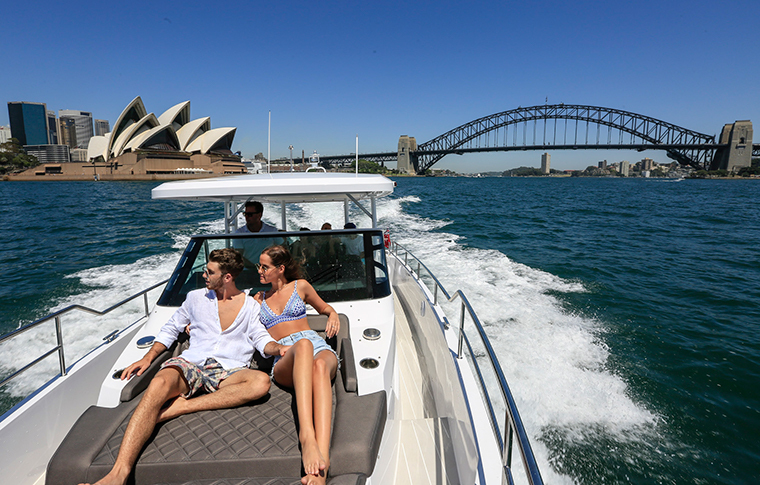 Enjoy one of Sydney Harbour’s biggest days of the year aboard a sleek open-top 500 horsepower sports cruiser. 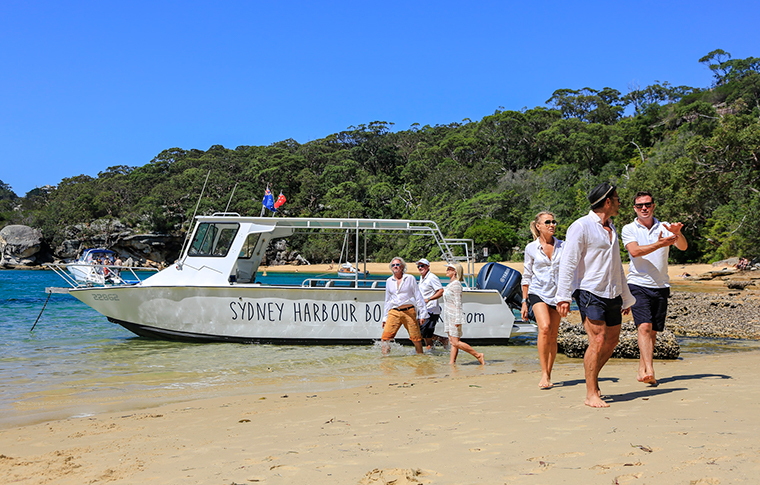 After the harbour celebrations and races, we’ll take you on a quick tour of the harbour and head to picturesque Quarantine Bay for a lunch, wander and afternoon swim. But if you have a spot in mind, your local skipper will make sure we get there during the day. Departure: 10:00am from Convention Wharf, Darling Harbour. 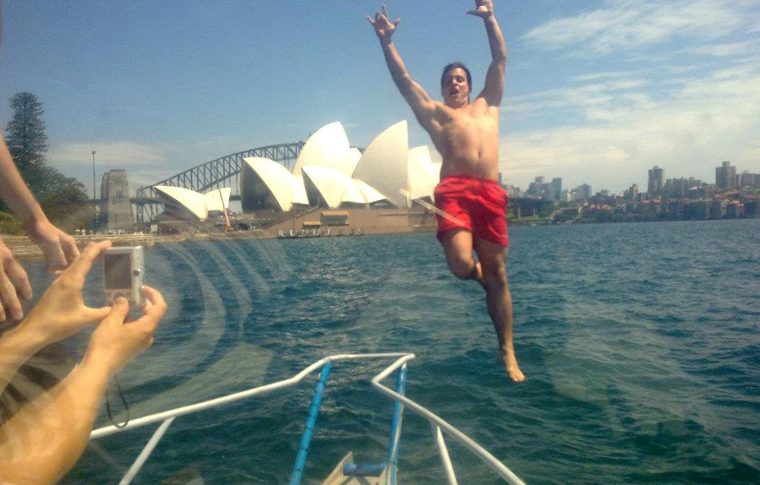 CLICK TO ENQUIRE ABOUT YOUR AUSTRALIA DAY CRUISE! 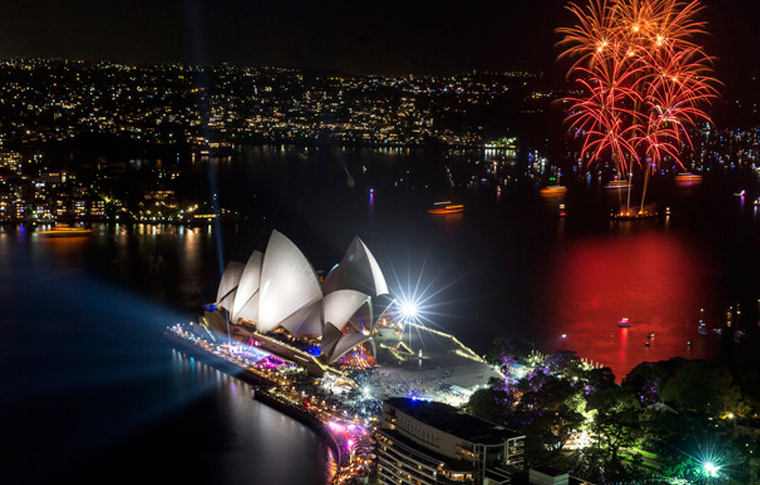 Celebrate Australia Day on stunning Sydney Harbour on its most lively and action-packed day of the year. 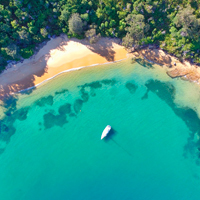 Your skipper/guide will take you on a full day of adventure and discovery, taking in the day’s harbour celebrations and races and stopping at a secluded harbourside beach for a cafe lunch (included) and swim. 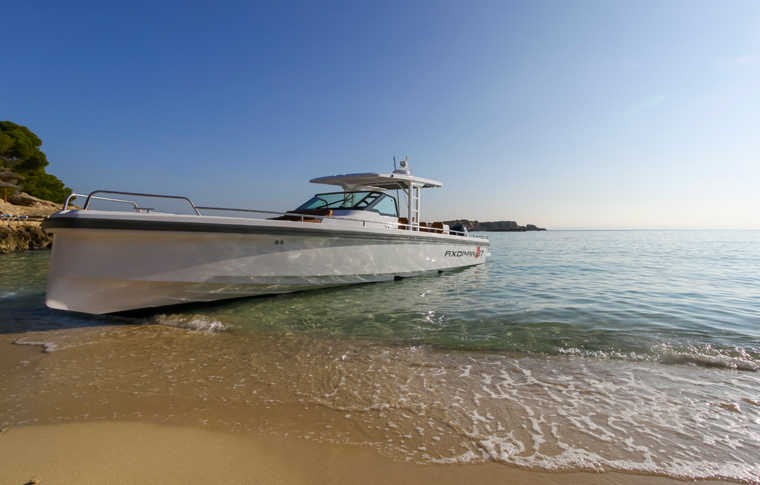 Beach Explorer – a comfortable open-top boat that seats 16 guests and can drop you right onto the beach. It’s 8.5m with an enclosed toilet and some shading. 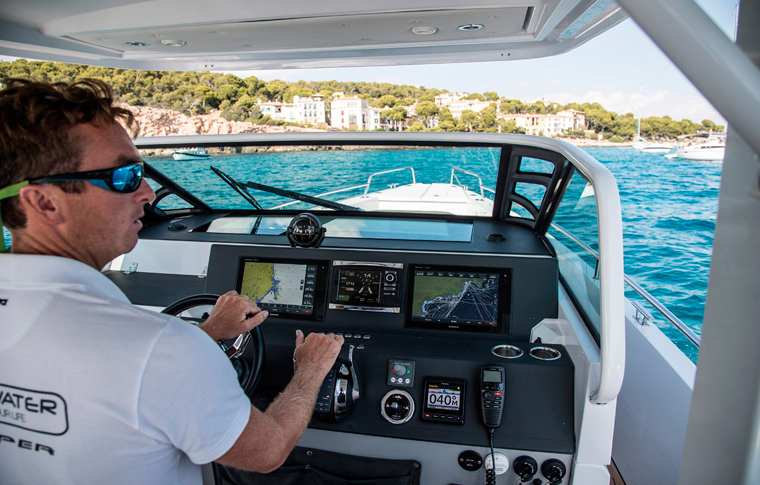 Find out more about your boat here. Lunch and drinks: A simple cafe lunch and soft drink is included. You’re welcome to bring your own snacks and drinks (alcohol permitted). NOT QUITE WHAT YOU'RE LOOKING FOR? HAVE A LOOK AT SOME OF OUR OTHER OPTIONS!